@bjoern Thanks for the link. Self-hosting and federation are very important issues (I don't see my use in hosting my own #GitLab instance until it hopefully one day introduces federation; I just use cgit). I'll update my page to include mentions of that. 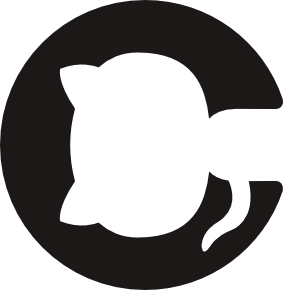 The GNU ethical repo criteria and my page do focus on software freedom---the issue of GitHub itself being non-free is an SaSS issue. It doesn't matter if GitHub was free software if it doesn't federate, because you'd still be using github.com, which you can't control. But it _does_ matter if the client-side JS is free software, since that code is executing on your computer, just as any other program. Similarly, using GitLab on gitlab.com for anything but repo hosting has the same SaSS issues. But you're of course free to host your own. Unfortunately, without federation, we have a bunch of fragmented communities. It's a problem that I very much want solved. So I agree that it's important. I disagree that software freedom is less important; they're related but separate issues that are both essential for different reasons and different types of freedoms. @mikegerwitz ... This only works if the whole stack is Free Software. Just free JS means almost nothing to my practical software freedom. You could compare it to tivoization if you want. In order to have real software freedom I need to be able to exercise my freedom, having just the few bit which run on the browser as Free Software is necessary but not enough. So while a full stack is indeed necessary, I agree, non-free JS is a complete non-starter to the point where I can't even _collaborate_ with people using those communities. If a project is using SaaSS for their work, they are sacrificing their freedom (not the four freedoms---different kinds), not me. If I choose to contribute to project Foo, it doesn't matter to me if they're using gitlab.com or hosting their own GitLab instance---I can't modify it no matter what. But that's okay for me, because it's the _project's_ tool, not my own. @mikegerwitz it is not that I disagree with you on your point. I just have the feeling we care concentrating to much on one point while missing the overall picture of software freedom in the world of SaaS. It is no longer just about the software running physically on your machine, that's why the AGPL is so important. I think I will write a blog about my opinion on this topic once I have some time. Wanted to do this anyway already for a long time. @mikegerwitz @mikegerwitz it is not that I disagree with you on your point. I just have the feeling we are concentrating to much on one point while missing the overall picture of software freedom in the world of SaaS. It is no longer just about the software running physically on your machine, that's why the AGPL is so important. I think I will write a blog about my opinion on this topic once I have some time. Wanted to do this anyway already for a long time. @mikegerwitz @mikegerwitz it is not that I disagree with you on your point. I just have the feeling we are concentrating to much on one point while missing the overall picture of software freedom in the world of SaaS. It is no longer just about the software running physically on your machine, that&apos;s why the AGPL is so important. I think I will write a blog about my opinion on this topic once I have some time. Wanted to do this anyway already for a long time. @bjoern I don't want to give the impression that I'm giving less consideration to your point. I think we're pretty much in agreement on all points overall, but each of us is putting more emphasis on the one we are more familiar with and have put more activism/advocacy into. @mikegerwitz The code on github might have a free license (o not), but the whole ecosystem of developers and the social network they are part of is as free as, and as prone to abuse as facebook. That's what I don't like about github.